U.S. Rep. Ron Estes, left, will be identifed with a "Rep." before his name on primary ballots against the other Ron Estes he faces in the race. A state panel ruled Monday that Ron Estes, the Wichita area congressman, will appear as “Rep. 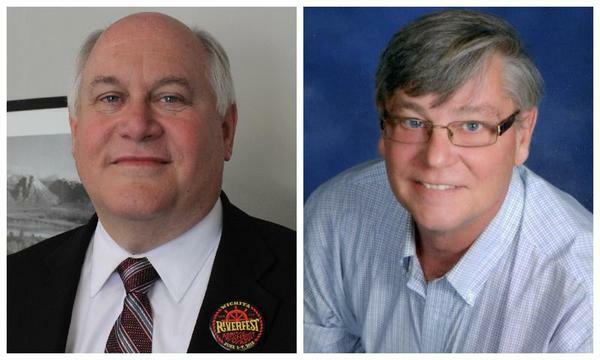 Ron Estes” on the primary ballot where he faces a challenger also named Ron Estes. Secretary of State Kris Kobach’s office had previously decided to add the title, but a Democrat also running for the 4th Congressional District seat objected. Laura Lombard said state law bars including titles on the ballot. Kobach, a member of the State Objections Board, said titles normally aren’t allowed, but in this case it was warranted. Kobach said having only a minor difference in the names, such as a middle initial, would require the candidates to educate voters about which candidate is which. “Our statutes don’t assume that you’re going to spend a million dollars advertising and somehow informing voters about you,” Kobach said. Lombard also said she was concerned that if he won, the incumbent congressman would appear as “Rep. Ron Estes” in the November election. Kobach said his intent was to only use the title in the primary and not the fall election. The Objections Board is made up of the secretary of state, attorney general and lieutenant governor. Attorney General Derek Schmidt and Lt. Governor Tracey Mann did not attend and sent staff members in their place. Board members also rejected an attempt to take a legislative candidate off the ballot. The objection to the candidacy of Republican Michael Capps, from Wichita, contended that he didn’t really live at the address on his filing to run for the Kansas House of Representatives. Vic Miller brought the objection. He’s an attorney and also a Democratic member of the Kansas House. He was representing the Democrat in the race, Monica Marks. Miller said the house at the address Capps listed was in foreclosure and Capps had previously filed to run for a different House seat. Miller said Capps switched shortly before the deadline after the incumbent decided not to run for re-election. “He slithered in on Friday morning thinking he’d be unopposed,” Miller said. Members of the Objections Board said unanimously that Capps was allowed to change his mind and run for office with the address he listed on his filing. Capps said he had been living at another location temporarily because the home needed some repairs, but he was now living back in the house where he filed to run for office. He said he had resolved the foreclosure. The seat is open because Republican state Rep. Chuck Weber decided to retire from the Legislature. Had the board blocked Capps, that would have left only the Democrat in the race. Miller said they could take further action to try to remove Capps from the ballot or disqualify his election if he should win. 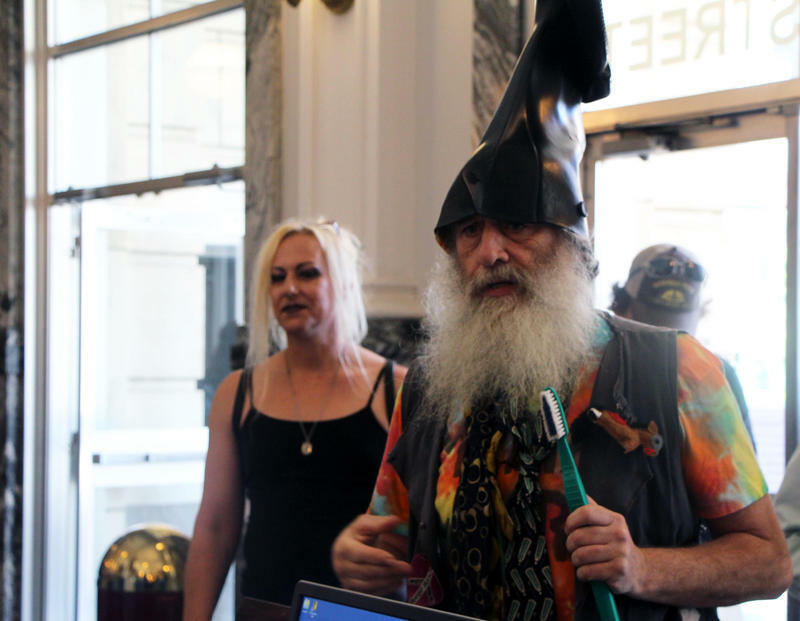 The board also blocked unconventional candidate Vermin Supreme from running for attorney general. Supreme has run for local and national offices in the past and is known for outlandish dress and advocating for causes such as mandatory tooth brushing laws and providing free ponies for all Americans. Supreme had listed two addresses on his filing, one in Massachusetts and one in Topeka. Kansas has attracted out-of-state candidates because of no clear requirement candidates must live in the state. Brant Laue, an attorney sitting on the board in the place of the lieutenant governor, pointed to a recent Shawnee County District Court ruling that said candidates for governor must live in Kansas. “I’m of the opinion that the same legal reasoning … also applies to the office of attorney general,” Laue said. The objection to Supreme’s candidacy was filed by Jim Joice, executive director of the Kansas Republican Party. After the decision, Joice said his objection was based only on Supreme’s residency. Supreme frequently wears a boot on his head, but Joice said he has no issue with Supreme’s unconventional campaign style and dress.